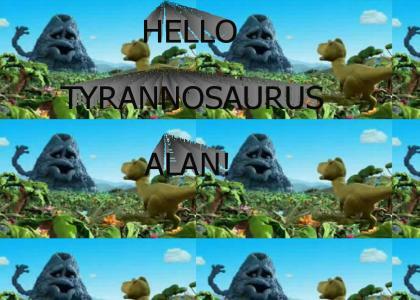 George the Volcano says hello to Tyrannosaurus Alan. Best f*cking ad ever. Also: Picture, Sound, Text. A singular focus, not a f*ggy short film. Classic YTMND FTW. HELLO TO RANNA SORE ASALAN!